In my post last week, What You Don’t Know About Online Security Can Harm You, I wote about online privacy and the security risks associated with connecting to, and using public Wi-Fi. I also introduced F-Secure Freedome. 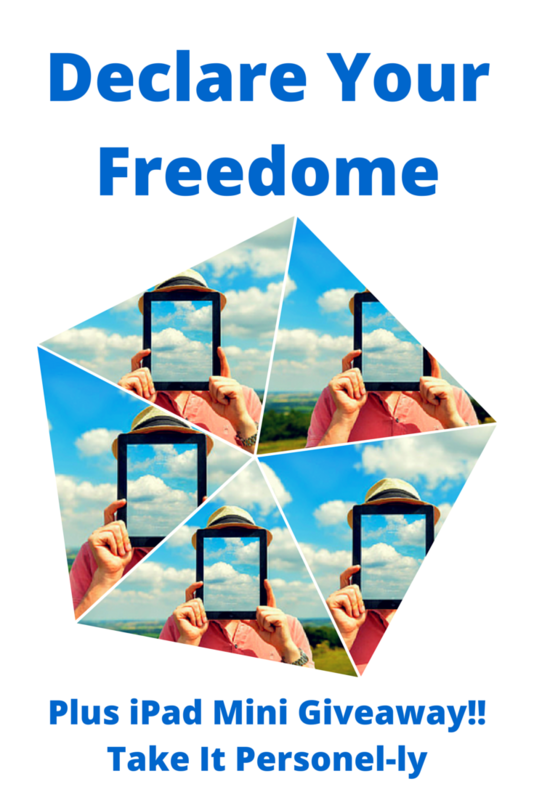 Freedome is a combination of a VPN (Virtual Private Network) service and malware protection for your iOS, Mac, Windows or Android device. (A VPN is a secure, encrypted connection between you and another computer or Internet device). I would like you to try F-Secure Freedome and let me know what you think of it. Click the photo below and enter code qhh42f to try it FREE for 90 days. Rules and regulations for the F-Secure Freedome and iPad Mini Giveaway. No purchase necessary. Open to legal residents of the United States only. Void where prohibited by law. Giveaway Entry period begins May 14, 2015 at ends May 23, 2015 23:59 ET. 1 winner will be selected at random from all eligible entries received by Rafflecopter during the giveaway entry period on, or after May 23, 2015. Odds of winning depends on the number of eligible entries received. The winner will be contacted by email and will have 24 hours to respond to claim the prize. If the winner does not respond or does not meet eligibility requirements, another winner will be selected at random. The prize consists of 1 year access to F-Secure Freedome (Apple App store or Google Play) and 1 iPad Mini 16 GB, WiFi version. Prize cannot be substituted or changed. F-Secure Freedome and myself are not responsible for any technical issues with Rafflecopter during the giveaway entry period. For Twitter entries, anyone found to be using multiple accounts will be disqualified. By entering this giveaway you agree to have your name publicized as the winner. Quite reliable and easy on memory. I love the simplicity-you don’t have to be a hacker to use this security app!! Simple to install…easy to use ,Most of the time you forget it’s there working away in the background to protect your computer….until you have a look and see how many trackers ect. have been stopped from getting into your computer………unbelieveable. Thank you F-Secure and Freedome . I like that it protects you when using public WiFi so your data is not compromised. I like that advertisers can’t track my information. The feature that I like the most is that you can remove geo-blocking and Access geo-restricted content by changing your virtual location. Very cool!! I love the feature that hacker can’t steel your info. It’s private and protected. I like the Wi-Fi security. I love that it is secure and freedom from hackers. I like that this offers Wi-Fi Security so you can connect anywhere, securely. I like that I am secure when using a public wifi, which I do often. I like that Freedome shields you on public Wi-Fi.